Deal combines two leading airlines known for outstanding customer service and low fares. Alaska Airlines expands its California presence, while creating new opportunities for growth and competition. Expanded route network benefits customers, with 1,200 daily departures. Transaction is expected to be accretive to adjusted earnings per share in first full year, increases annual revenues 27 percent to more than $7 billion and offers $225 million total net synergies annually at full integration. Alaska Airlines Mileage Plan™ to welcome Virgin America Elevate® members. Company headquarters to remain in Seattle. Alaska Air Group, Inc. , parent company of Alaska Airlines, and Virgin America, Inc. today announced that their boards of directors have unanimously approved a definitive merger agreement, under which Alaska Air Group will acquire Virgin America for $57.00 per share in cash. Including existing Virgin America indebtedness and capitalized aircraft operating leases, the aggregate transaction value is approximately $4.0 billion. With an expanded West Coast presence, a larger customer base, and an enhanced platform for growth, Alaska Airlines will be positioned to provide more choices for customers, increase competition and deliver attractive returns to investors. Virgin America has been voted “Best Domestic Airline” in both Travel + Leisure’s Annual World’s Best Awards and Conde Nast Traveler’s Readers’ Choice Awards for the past eight consecutive years. Alaska Airlines has been ranked “Highest in Customer Satisfaction Among Traditional Carriers” by J.D. Power for eight years running, and has been ranked #1 for on-time performance six years in a row by FlightStats. Alaska Airlines and Virgin America both have been named among America’s ‘best employers’ by Forbes, which annually ranks 500 U.S. companies based on responses to a survey of American workers. Both Alaska Airlines and Virgin America are listed on the International Air Transport Association’s Operational Safety Audit (IOSA) registry, the globally recognized benchmark for the airline industry. Alaska Airlines has been on the registry for 10 years and Virgin America has qualified for six years. Alaska Airlines expects that Virgin America’s Pilots, Inflight Teammates, Guest Services Teammates and maintenance technicians will be protected in the combination. Virgin America’s fleet of 60 Airbus A319 and A320 aircraft boast three classes of service, in-flight WiFi and power outlets on every flight, as well as personal, touch-screen seatback entertainment. Following closing, Alaska Airlines will welcome Virgin America Elevate loyalty program members into its Mileage Plan, ranked #1 by U.S. News and World Report. With Alaska Airlines Mileage Plan, members are able to redeem award miles for travel to more than 900 destinations worldwide, rivaling global alliances. Until the transaction closes, both loyalty programs will remain distinct – with no short-term impact on members. Upon closing, the programs will be merged. Alaska Airlines is committed to ensuring that loyalty members of both airlines maintain the same high-value rewards they’ve come to enjoy in both programs – with access to an even larger network. The transaction builds on both companies’ strong financial performance. In 2015, Alaska Air Group achieved a record full-year adjusted net income of $842 million, which increased 47 percent over 2014. 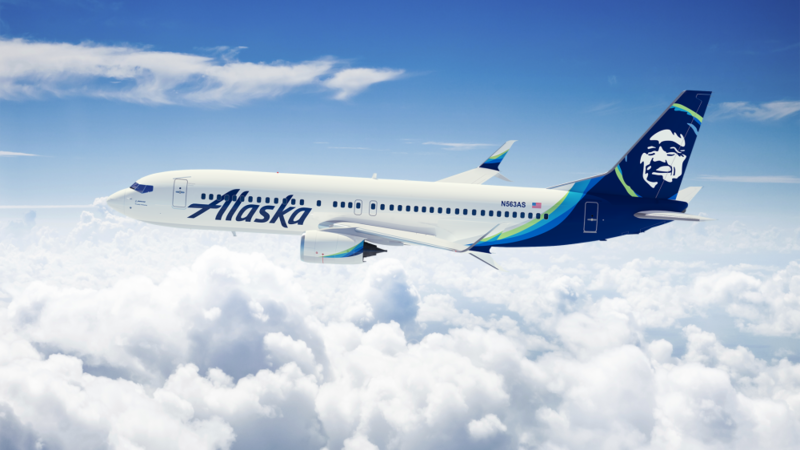 Alaska Airlines also grew passenger revenues by 5 percent year-over-year, and has increased dividend payments 175 percent since initiation in 2013. In 2015, Alaska Airlines added 20 new markets and 10 new cities to its growing network and 11 new aircraft. As of March 31, 2016, Alaska Airlines had $1.6 billion in unrestricted cash and short-term investments. The merger, which has been approved unanimously by the boards of directors of both companies, is conditioned on receipt of regulatory clearance, approval by Virgin America shareholders and satisfaction of other customary closing conditions. The companies expect to complete the transaction with regulators’ approval no later than Jan. 1, 2017.